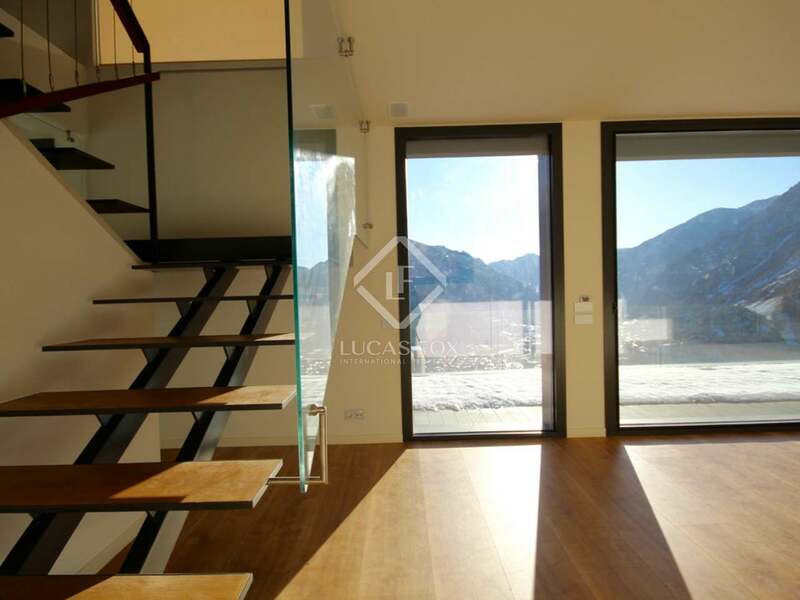 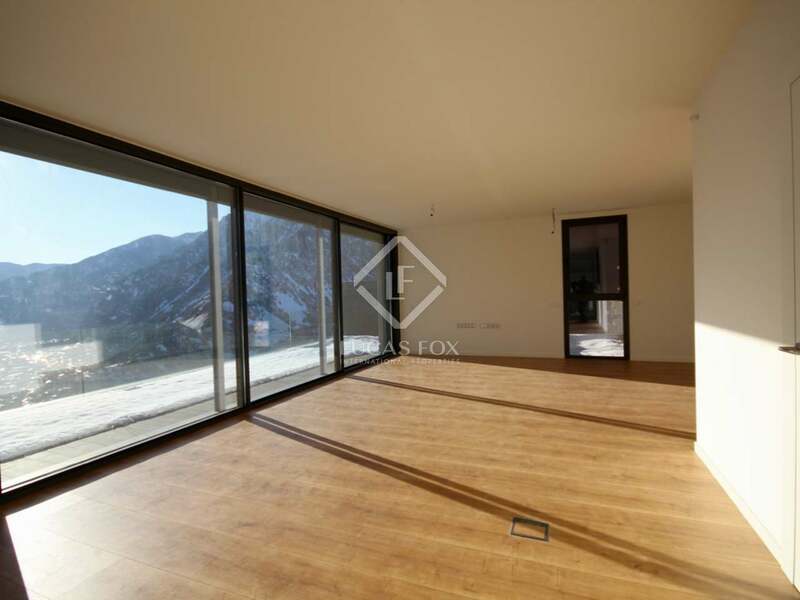 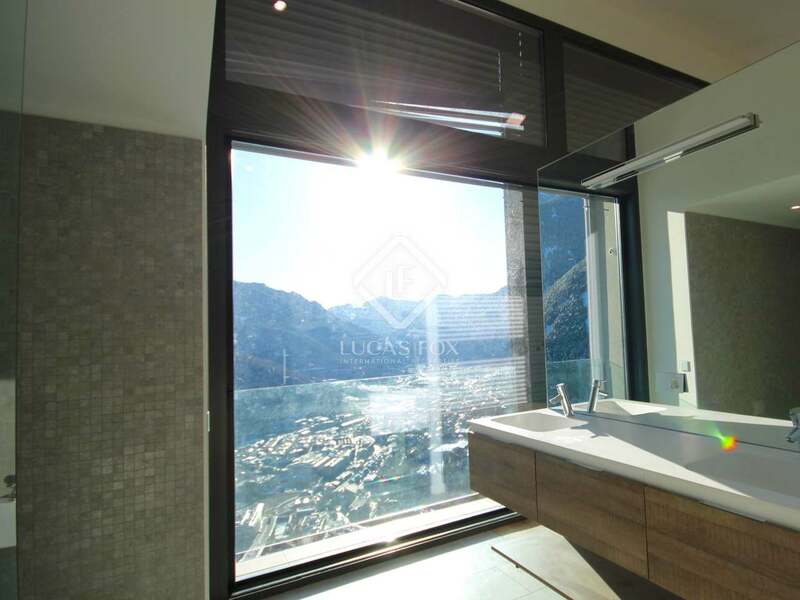 The house boasts a modern design with large windows that offer unique views of the Andorran valley from all rooms, along with its south orientation that offers sun all day; all levels of the house are connected by a lift. 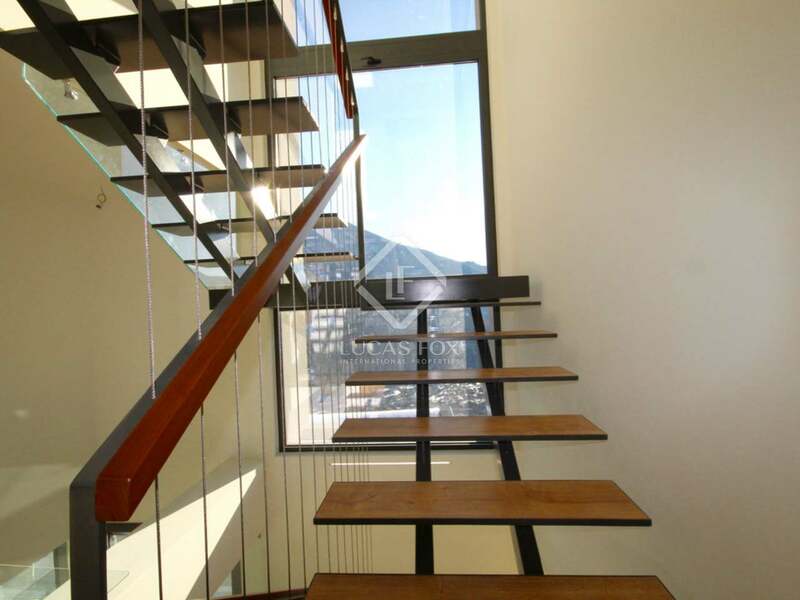 The property offers 2 underground levels and 3 upper levels; which we will explain to detail. 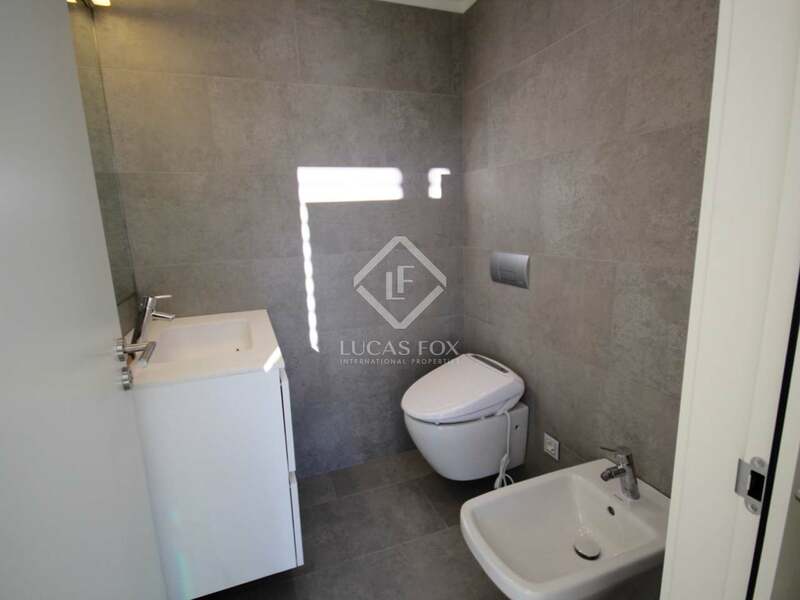 Floor -2: This floor is organised into 2 main rooms, the service area with a double bedroom with complete bathroom and the laundry area. 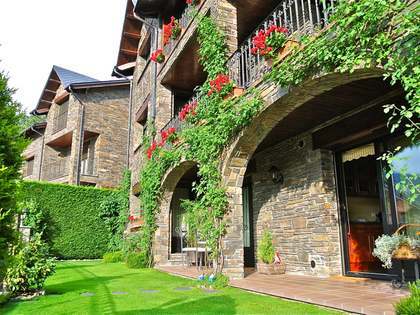 On the other side at the same level we find a spa and gym area equipped with a jacuzzi, a steam room and a dry sauna. 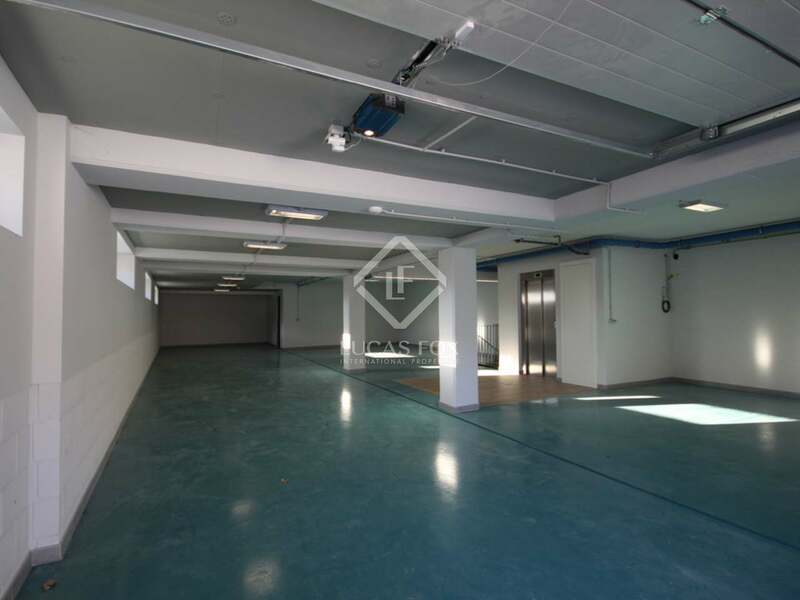 Floor-1: On this floor we find the garage which can accommodate 6 cars comfortably. 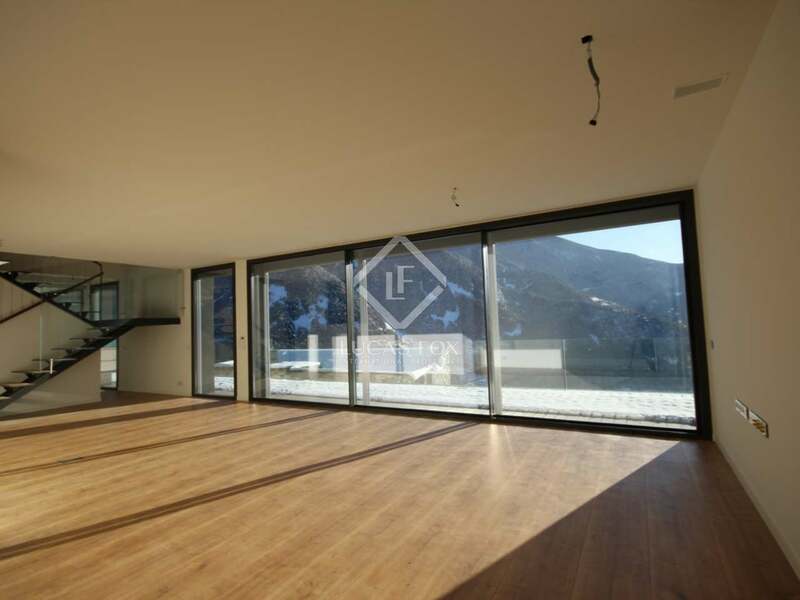 Floor 0: From this level we find pedestrian access to the house, just crossing the entrance we find 2 incredibly cosy spaces, in the west wing is the large dining room of approximately 60 m² and in the east wing is the great kitchen, designed by the brand Leicht, with a large island in the middle. 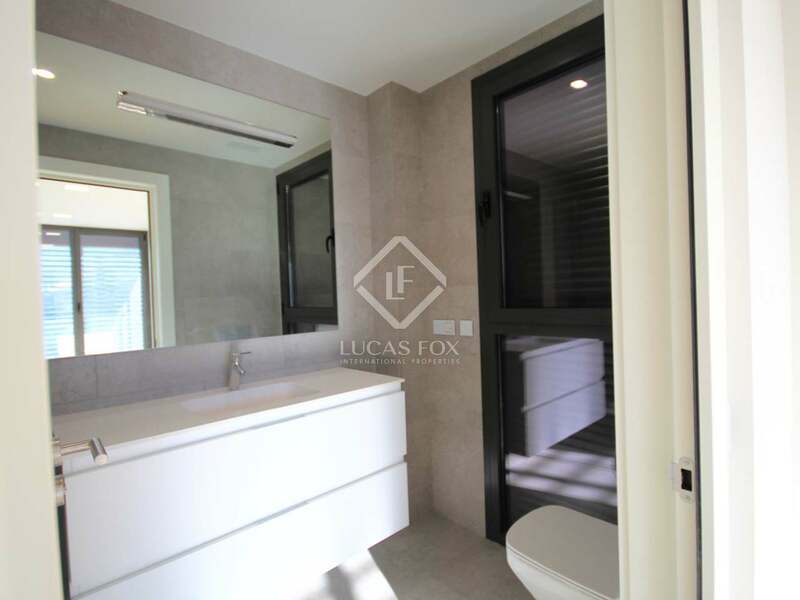 Level 1: This level houses 3 bedrooms, one of which is en suite and includes a dressing room, the other 2 are good size doubles which share a fully equipped bathroom. 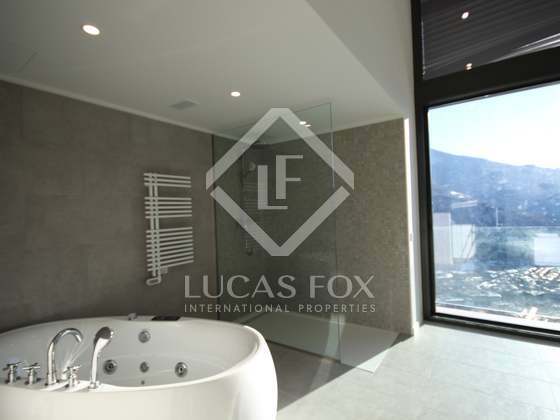 Level 2: This floor houses the sensational master suite, a room with high ceilings and outstanding views. 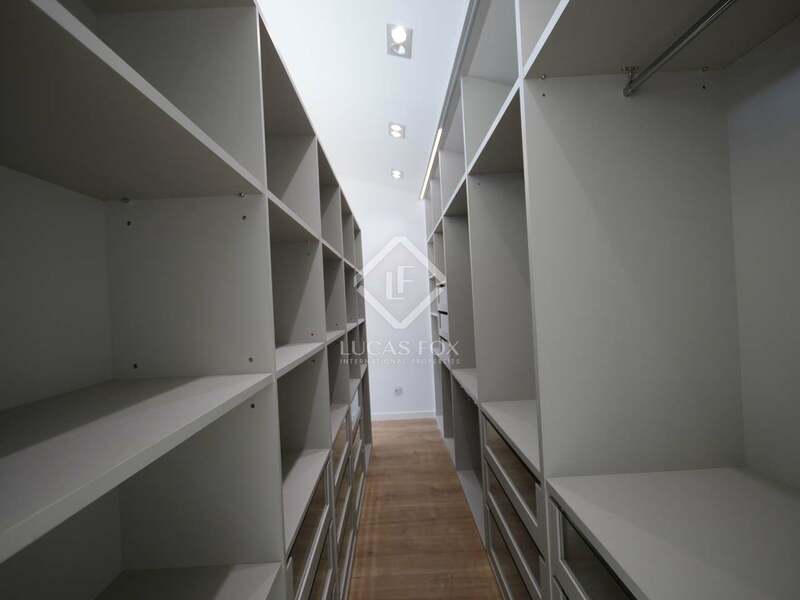 The headboard of the bed divides the bedroom and dressing room areas. 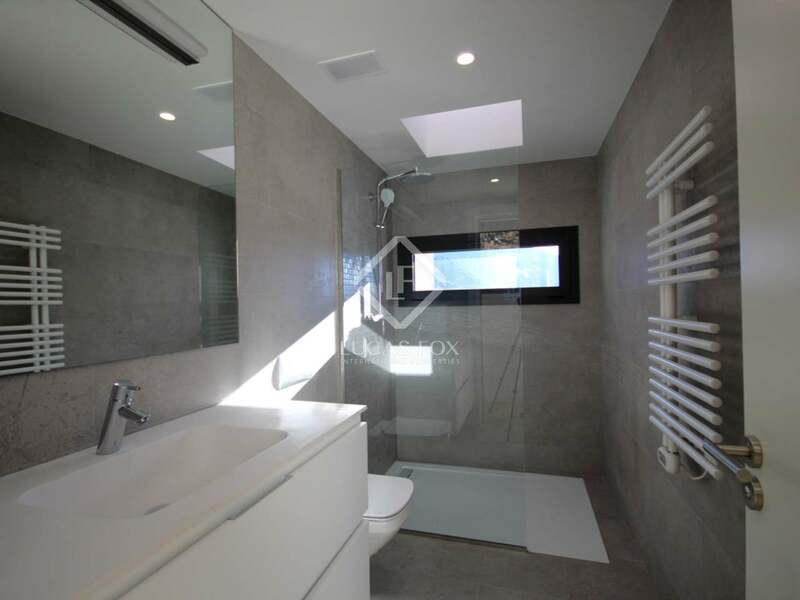 The dressing room is completely finished and lined in wood and the en-suite bathroom consists of a hydromassage bath and a designer shower. 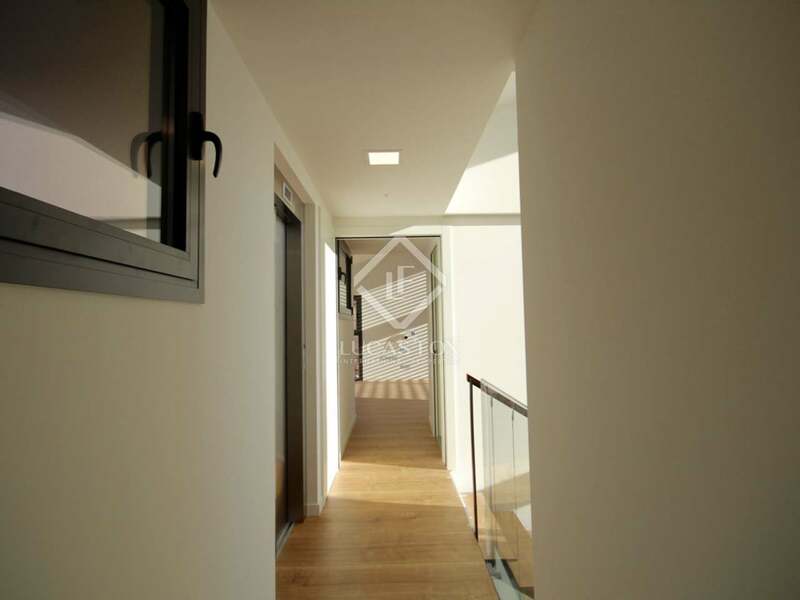 In the east wing of this level we also find another a bedroom suite with a complete bathroom. 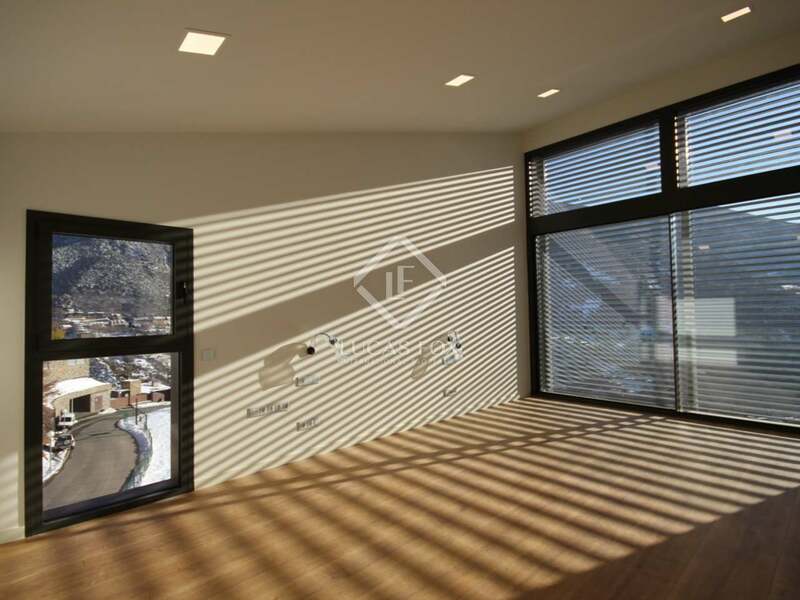 The heating system works with a heat pump and the whole house is equipped with a state-of-the-art home automation system. 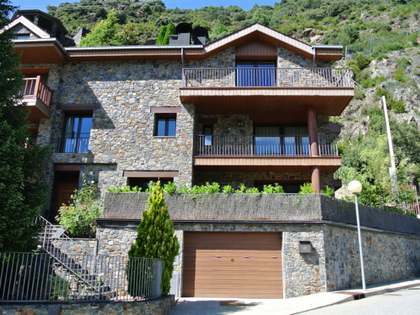 A dream come true in the best area of Andorra. 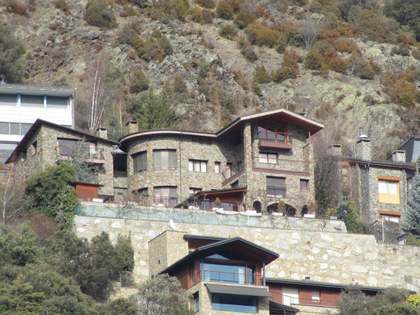 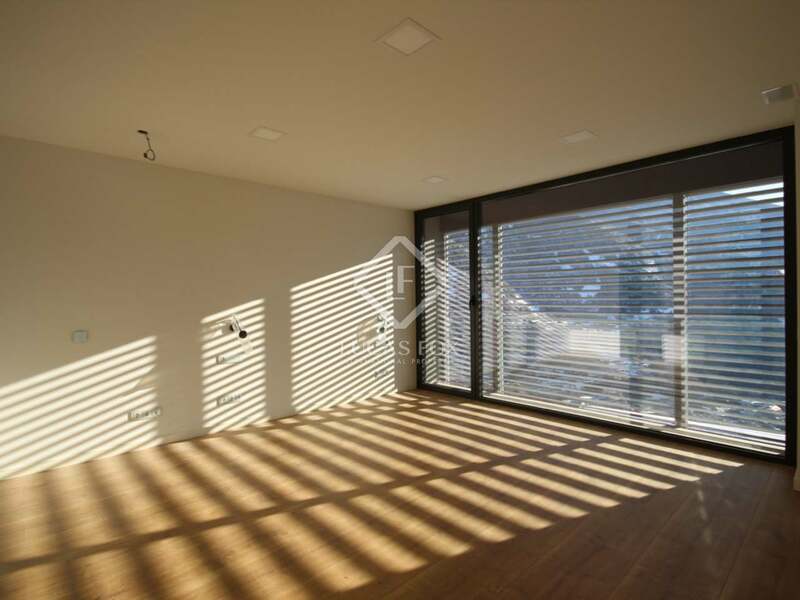 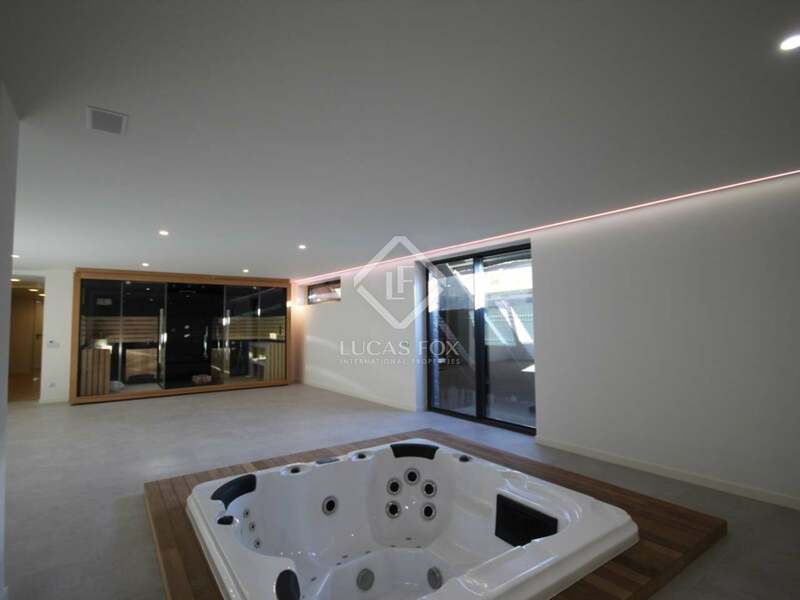 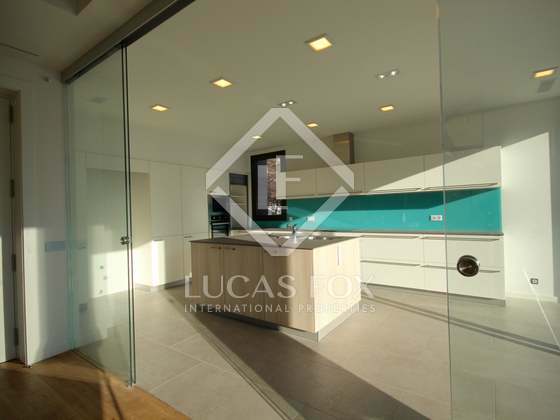 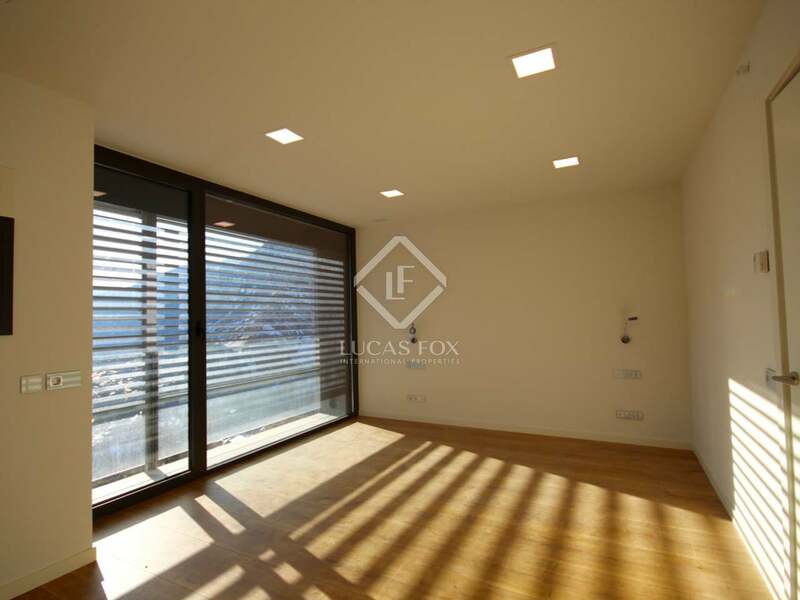 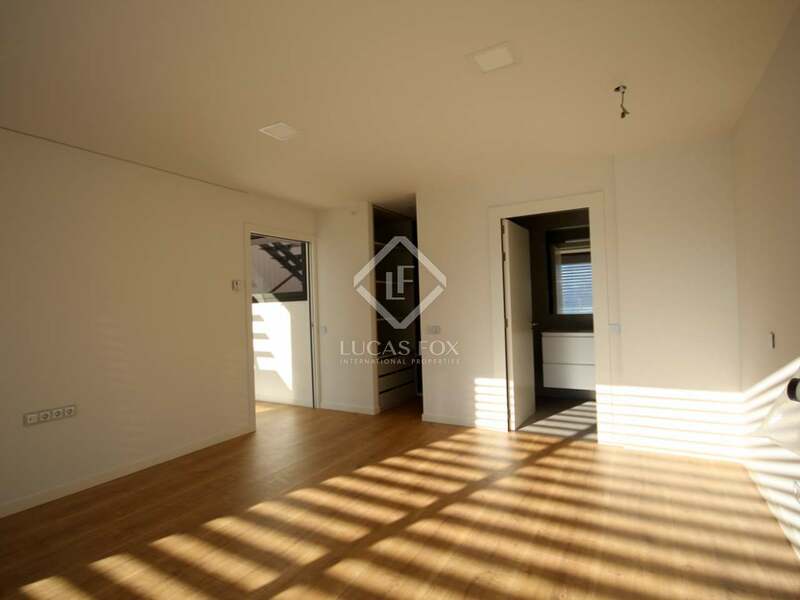 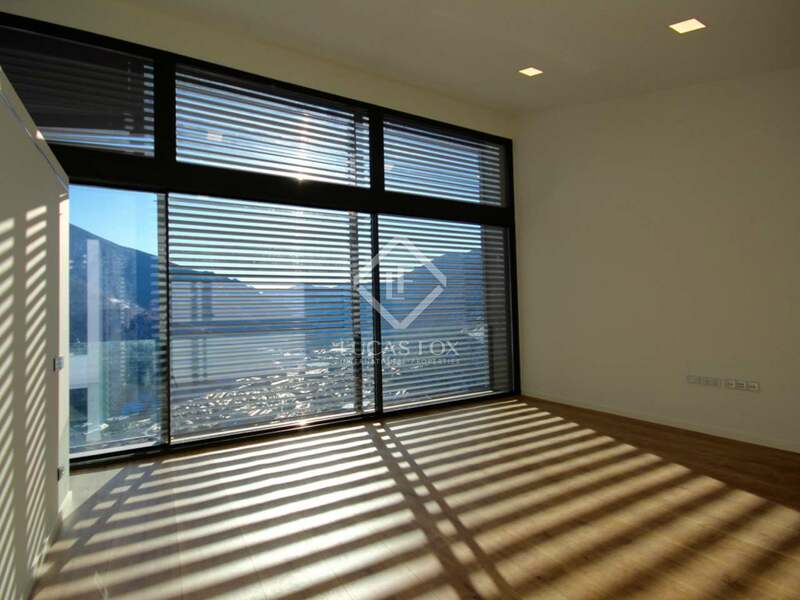 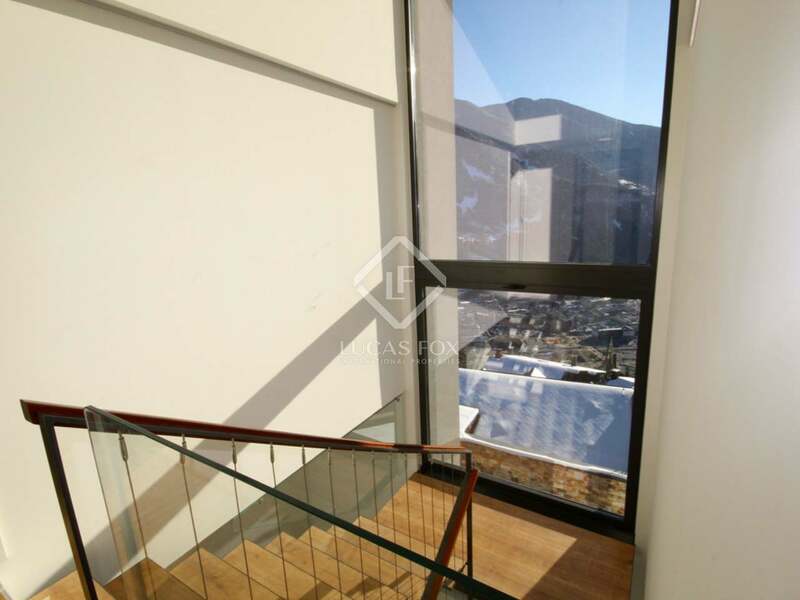 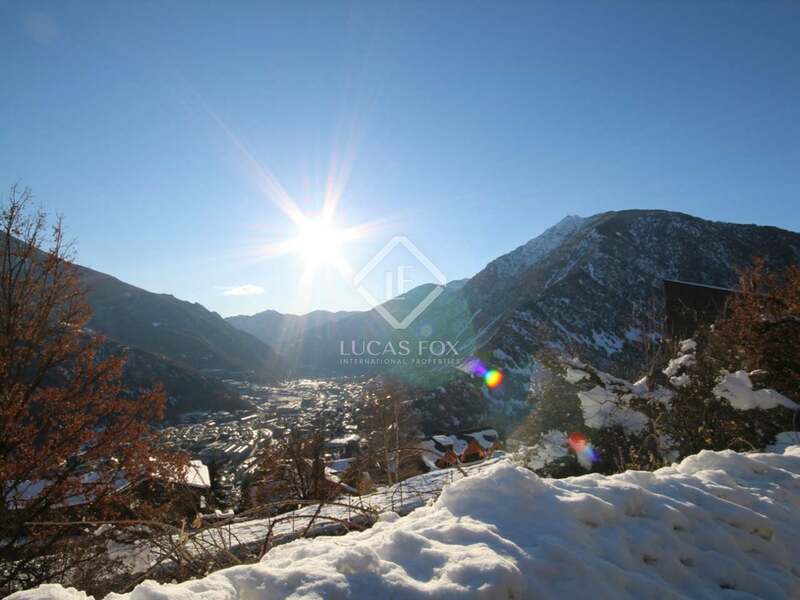 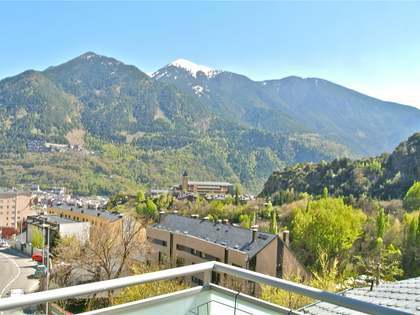 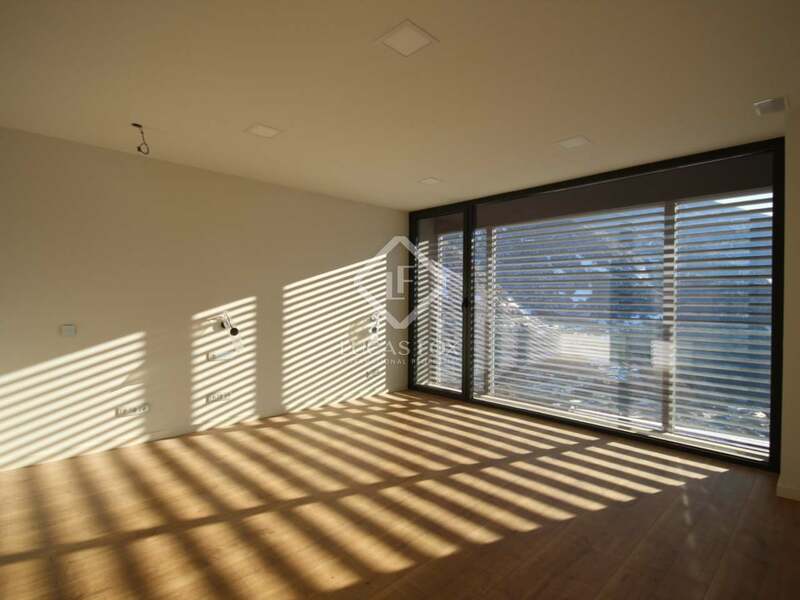 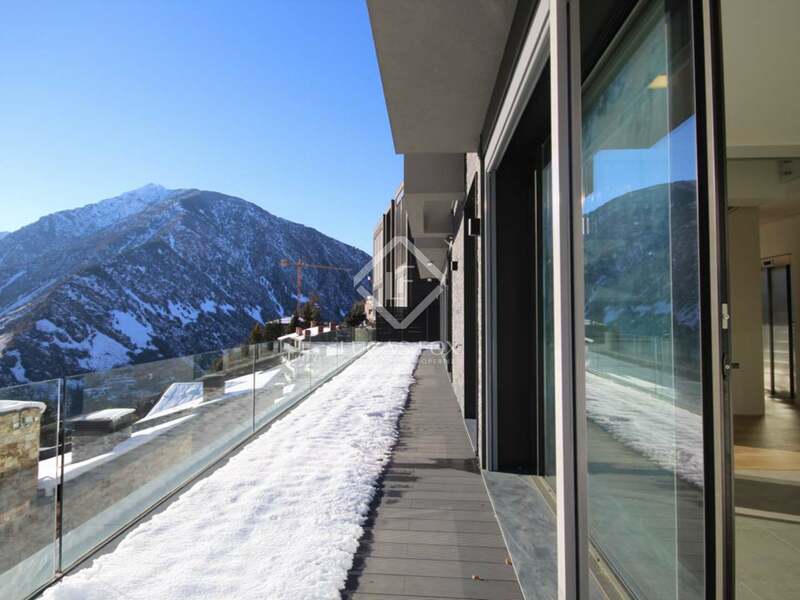 This property enjoys a great location in one of Andorra's best residential areas: Can Diumenge.